WASHINGTON – Senator Joe Biden, who was chosen by Democratic presidential hopeful Barack Obama to be his running mate in the upcoming US elections, has previously declared himself to be a Zionist. Calling Israel “the single greatest strength America has in the Middle East,” he also revealed a Jewish connection in an interview last year. During the interview conducted by the Jewish ‘Shalom TV’ Biden said, “I am a Zionist. You don’t have to be a Jew to be a Zionist.” He also revealed that his son is married to a Jewish woman, of the Berger family from Delaware, and that he had participated in a Passover Seder at their house. Biden presented himself as a friend to Israel, which he referred to as the US’ greatest Middle East ally. “Imagine our circumstance in the world were there no Israel. How many battleships would there be? How many troops would be stationed?” he asked. Biden also commented on Jonathan Pollard, sentenced to life in prison for espionage charges. “He has to serve his sentence. There’s a rationale, in my view, why Pollard should be given leniency. But there is not a rationale to say, ‘What happened did not happen and should be pardoned’,” he said. 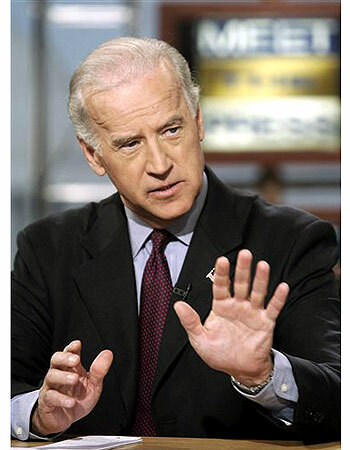 Biden is currently serving his sixth term in the US Senate, is of Irish descent, and was born in Pennsylvania. He became an attorney in 1969 and in 1972 was first elected to Senate. Just a short while later, his wife and one of his children were killed in a car accident. His two sons were injured but recovered fully. Biden became a senator at the age of 30, which is the earliest age at which one can be elected to the Senate according to US law. He continues to reside in Delaware and makes the two-hour journey to Capitol Hill by train every morning. He couldn’t be a Zionist. Zionism does not exist anymore. Israel exists.